Telegraph Hill Rehearsal Sessions: Compiled, Edited and Remastered. Flac Files (from Lost Master discs - Jungleland torrent) > Wavepad (Eq's & Compression) > Flac Files > Your listening pleasure. The Recording of The River was an arduous and protracted affair. What was once was envisaged as a single album, soon became (in classic Springsteen recording style) a vast collection of songs, enough to fill 5 albums, where the selection of tracks proved to be one of the most important parts of realizing Springsteen's vision. 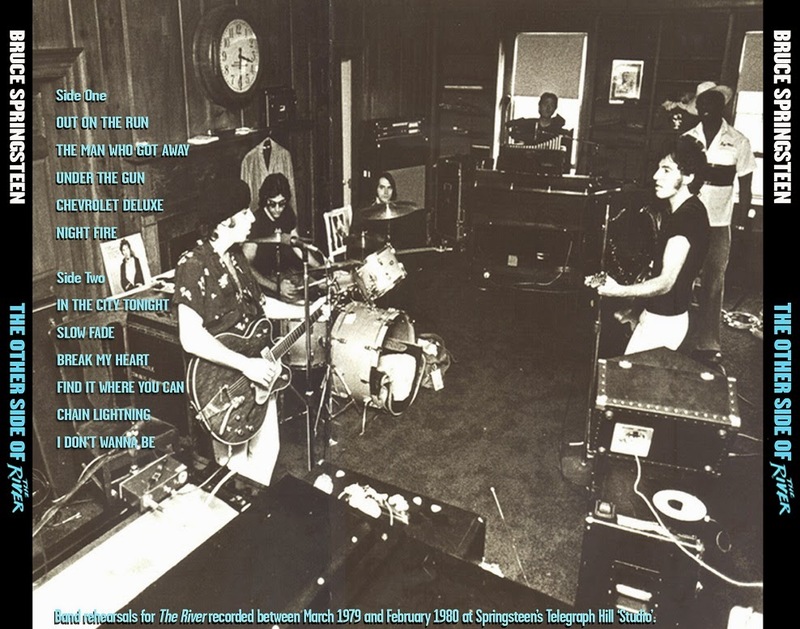 The Tracks boxed set provided us with an insight into another dozen or so songs that provided an alternate view but it is this package's aim to reveal or reintroduce Springsteen fans to yet another view of The River. Engineer Neil Dorfman has confirmed that around 50 songs were recorded for The River. The River album tracks, Tracks material and b-sides make up almost 35 of these 50 songs but there are also a group of songs that we know from the Telegraph Hill rehearsal sessions that push the figure towards 50. 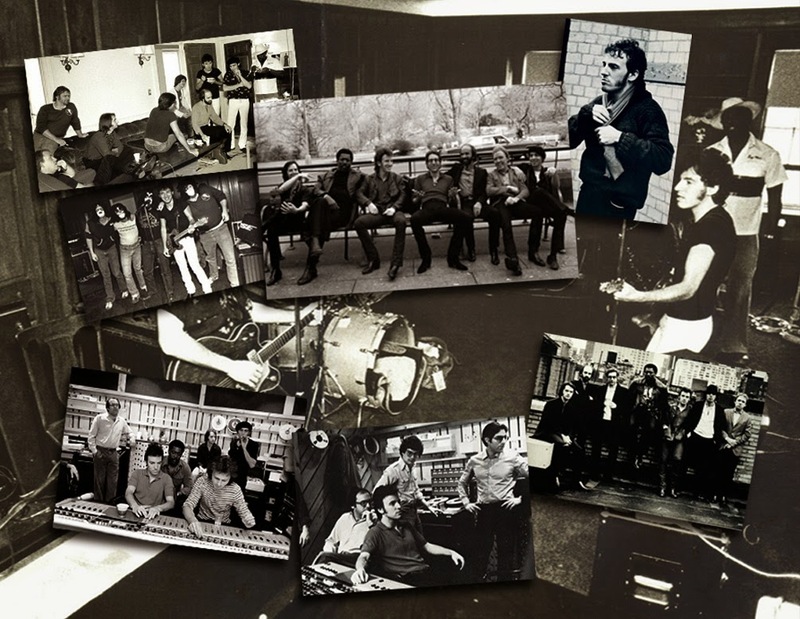 These sessions were designed to hone each song before the band entered the studio and as we know from official releases the majority of these songs were professionally recorded. It is therefore no major leap to suggest that every song on this package was also professionally recorded for The RIver. We will have to wait for another Tracks collection to see if this is truly the case but in the meantime we would like to (re)present you with a collection of songs that have yet to see the official light of day. The songs on this package are stunning! They burn with the intensity that Springsteen and The E Street Band were producing over this period. We're all familiar with studio masterpieces such as Roulette and Take 'Em As They Come and it is this intensity that can be felt throughout these tracks. For too long have these tracks languished on The Lost Masters. With the same songs, played again and again with false starts and endings throughout and inter-band conversation The Lost Masters were of interest to the obsessive fan but didn't stand up to repeat listening. It is therefore the aim of this package to elevate these eleven tracks from the Telegraph Hill rehearsal sessions to become a true companion piece to The River. We have selected (in our opinion) the best version of each song, edited each one removing count-ins and untidy endings and meticulously sequenced them into a cohesive album. From the first explosive beat of Max's drums this album rocks!